January 3rd, and I re-enter the mainstream, having disappeared off the internet for ten or so days of family holiday pleasure. On the last day of the year, I insisted that our little family sit down and write up two new years resolutions for ourselves. 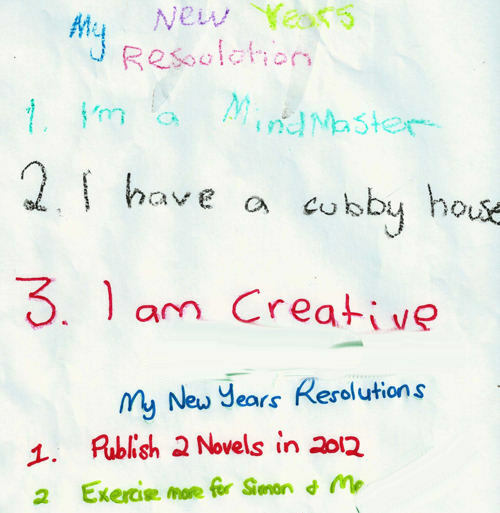 We captured the family resolutions onto a piece of paper, which you see here. Exercise more for Simon (my dog) and me. Yes, No. 2 isn’t very *SMART* – what is meant by ‘more’ for instance, how do you measure that? Well, that would be telling you too much information about my drastic lack of exercise since moving too far away from school to walk each day. So, I probably understand how much more is, as will my dog. No. 1 above isn’t very specific either. It’s more in line with a year long strategy, and will be accomodated with proper smaller targets in line with ROW80 – which began again yesterday, and this post forms part of my response. Bob Mayer’s latest blog post gives a hint at building a strategic writing goal. He’s currently taking registrations for his next online ‘Write it Forward‘ writing course, which will also start off with exercises in creating our long-term strategic goals in writing. I registered for his WIF course a few weeks ago, so am looking forward to when it starts shortly. In the meantime, take a look at his post on making that big shiney ultimate goal on why we are actually writing. Which is where my own long-term strategic goal comes from – stolen right off his page. I will be a NY Times best-selling thriller author in five years. As I’m still researching my own options towards seeking out agents and publishing the standard route, or moving down the indie publishing path, I don’t want to select one or the other right now. However, I appear to be aiming for publishing at least one of my two novels this year via amazon/smashwords etc. We’ll see. Bob’s blog post points out the obvious – of publishing our goals up onto the net like this, to keep us honest. What he doesn’t say in his own excerpt post is that for writers, sometimes this ultimate goal is also the reward – a reward for the hard sloth and small steps that take us there. My daughter has it good – in writing out her own two goals (above) you’ll see that she also stuck in a middle one. It’s no coincidence, either, that she chose to write her second in darker black than her others – that’s what drives her. She may not fully understand the smaller steps she and I have designed to move her towards her study and creative goals over the year, but she definately can picture that reward, a cubby house. I even took her to a display model of the houses available, and we’ve measured up the garden area where it might go, if she earns it. My daughter has smaller rewards and milestones along her way also – she’s chosen ice-creams, and days out. Writers need that too, which is where my thoughts towards publishing one novel this year on Amazon comes in. I need a quick-reward. Seeing my author’s name in print, that’ll do it. I mentioned last month that I would be rehashing my ROW80 goals – those littler goals which work towards my ultimate target. In fact, I’ve taken a drastic axe to them, and changed focus from that of a wordcount basis to one of a time deliminated writing process.These goals are now monthly, and I may also only checkin on them once a week rather than ROW80’s twice-weekly agenda. Creative writing time weekly with my daughter (part of her goals, actually). I now have a goal of spending two hours x 4 days a week on my WIP. I may do more hours, I may do more days. Working on the WIP includes writing, plotting / planning / editing / whatever. I will record wordcount progress etc, and there will be additional targets over time, I’m sure. I have a general goal of 500-1000 words per writing session, but I’m not yet committing to that as yet, because here in Australia and Sydney, we have just finally moved into high summer, with scorching hot days, and it remains school holidays for my daughter. So, there are important things to do with her. But this smaller wordcount goal is something ROW80 founder, Kait Nolan is terming ‘the Test Mile’ – try it out and see how it fits. I have intentions to attend the Sydney Writer’s Festival this coming May. 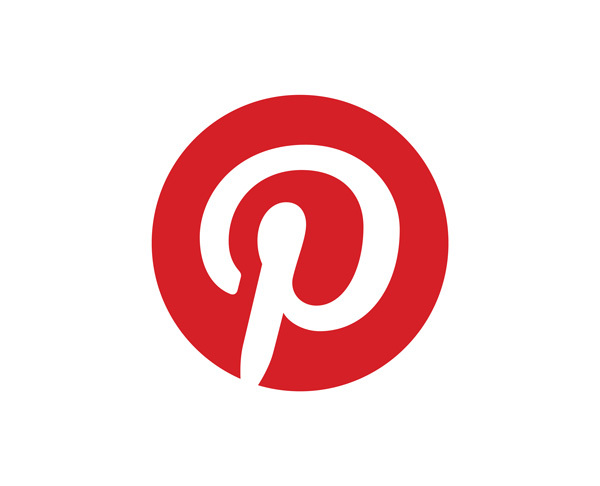 I’m hoping that will allow me to network with other writers, including some writer buddies. As you can see above, I want to get fitter. So does my dog. And incorporated into my daughter’s goals is a lot of work for me this year also – thrice-weekly study sessions, art and creative writing sessions, the usual school stuff. I also need to get a handle on keeping my house cleaner and better organised than it is. This includes finishing the unpacking from our house move of two months ago. Sigh. Interesting goals, and a very busy person! Good luck this round. Thanks, Amy. I looked at your own blog, and see that you’re busy yourself, lol.